We are headed back to the north, but first we have pulled into Narragansett Bay on the south shore of Rhode Island for a return visit to Newport. Narragansett Bay encompasses about 147 square miles of handsome shorefront, islands, and shores. Seven waterways enter into the bay, including the Taunton, Pawtuxet, and Blackstone rivers. Within the bay are Newport at the south end of Aquidneck Island on the ocean. At the northeasternmost reach is Fall River (where Lizzy Borden cut her teeth). And the northernmost part of the bay is home to Providence, the capital of Rhode Island. Just for the record: most of Rhode Island is on the mainland, not on an island. 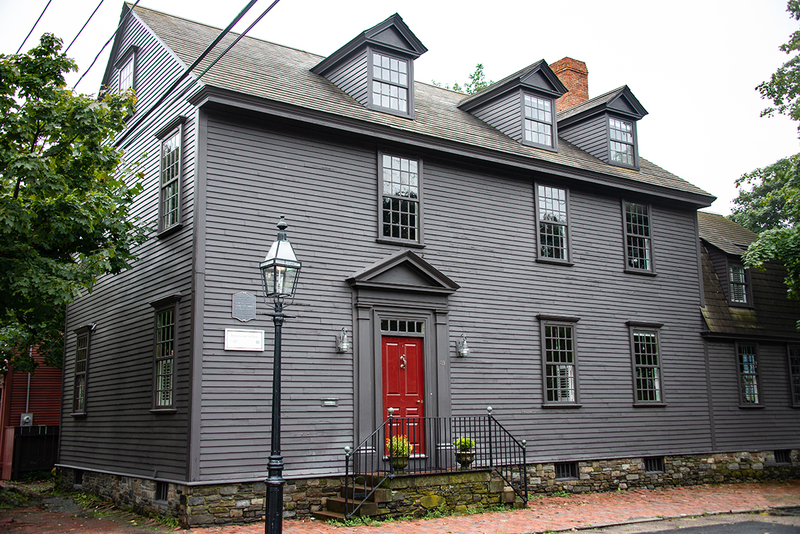 Once again we went for a visit to one of the less-known historic houses of Newport: Hunter House, built about 1748 by a prosperous local merchant and Colonial Deputy Governor. 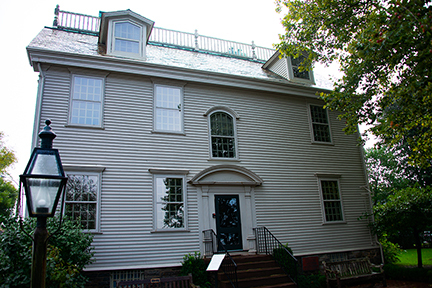 With the outbreak of the American Revolution, the governor was forced to flee and the home was used as headquarters for the French forces in Newport assisting the American rebels. 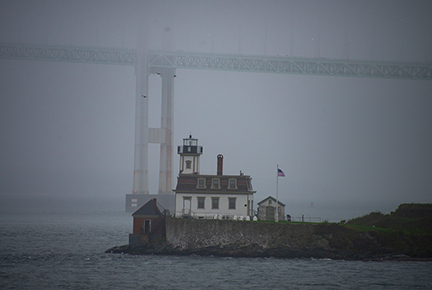 We sailed into the bay in a deep fog and mist, which deepened the sense of history here. Here is the fog, the Hunter House, and the nearby Brenton Counting House of the same time: 1748, Newport’s Golden Era, more than 130 years before the second wave of money have rise to the Gilded Age. 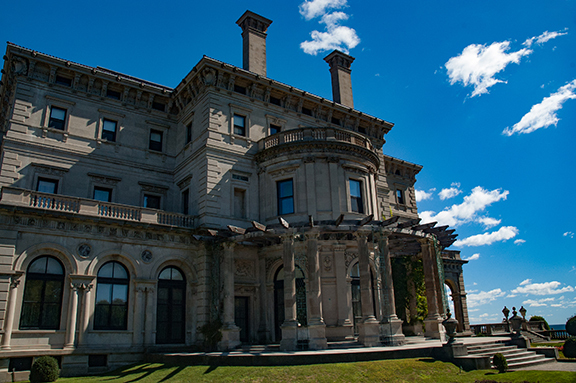 Here’s a glimpse of The Breakers, one of the most famous of the “cottages” on Newport, built during the Gilded Age by some of the aged gilded of the time. You can read even more about Newport in my posting from September 24.